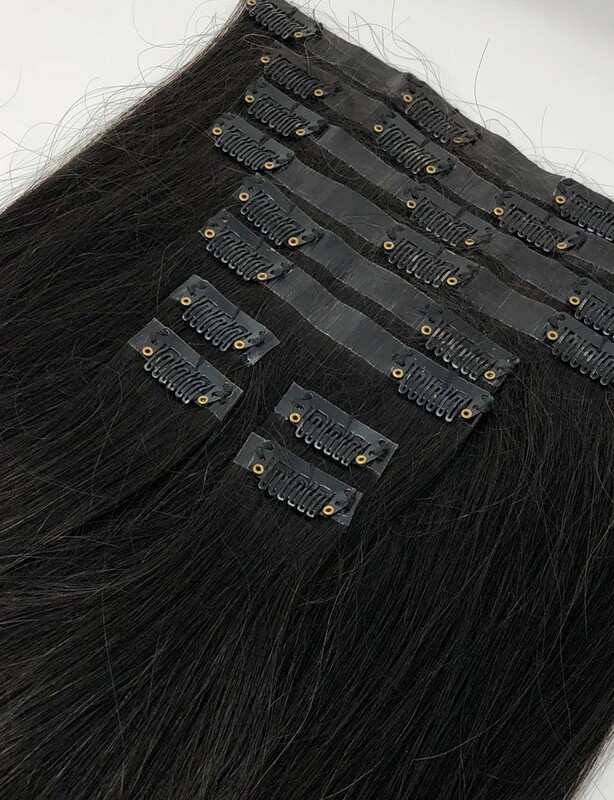 Natural Black clip-in hair extensions are just what you need to boost that mysterious aura and add some intensity to your charm. 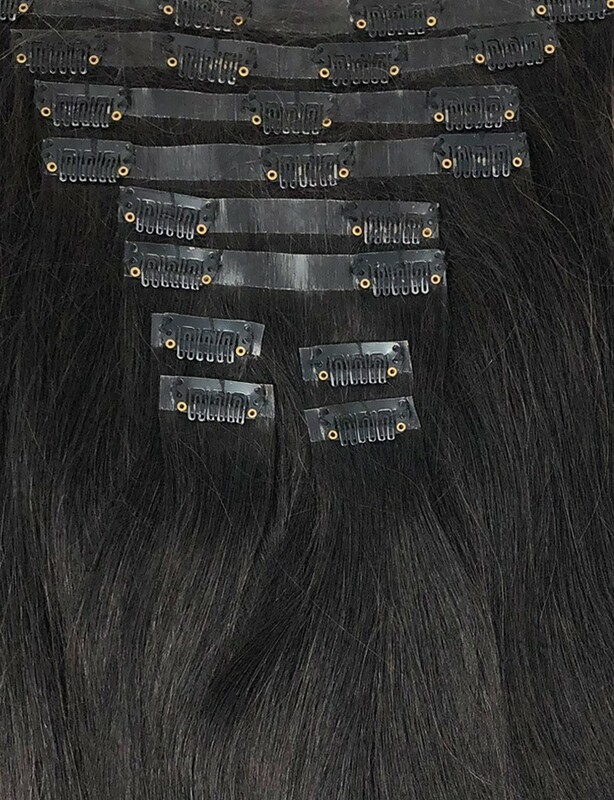 These clip in hair extensions have been strategically designed to blend in with your own hair and create a natural look that feels incredibly light to wear. Each of the wefts goes in its own spot to cover your entire head, making it feel balanced and giving it a full shape. 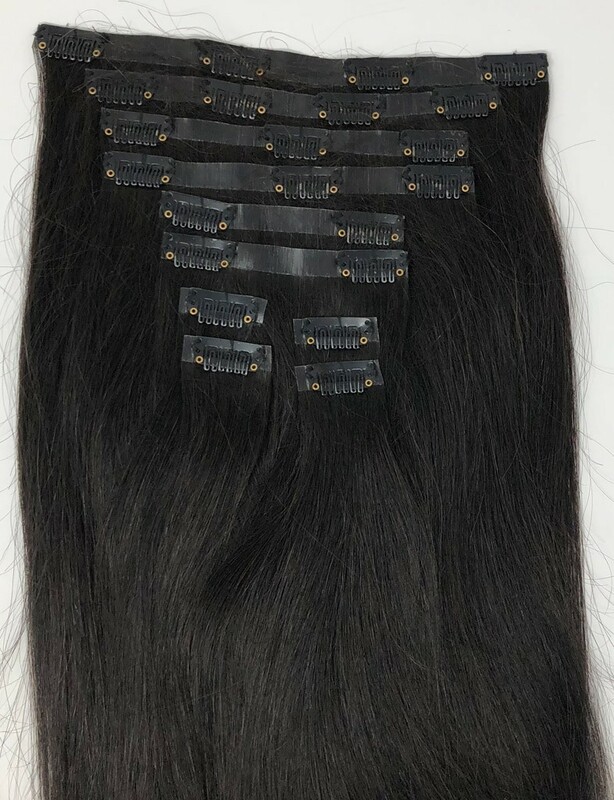 These extensions are made out of 100% human hair, which means you will get the best quality hair on the market. It has all been arranged in its natural growing direction and processed to eliminate any matting or tangling. 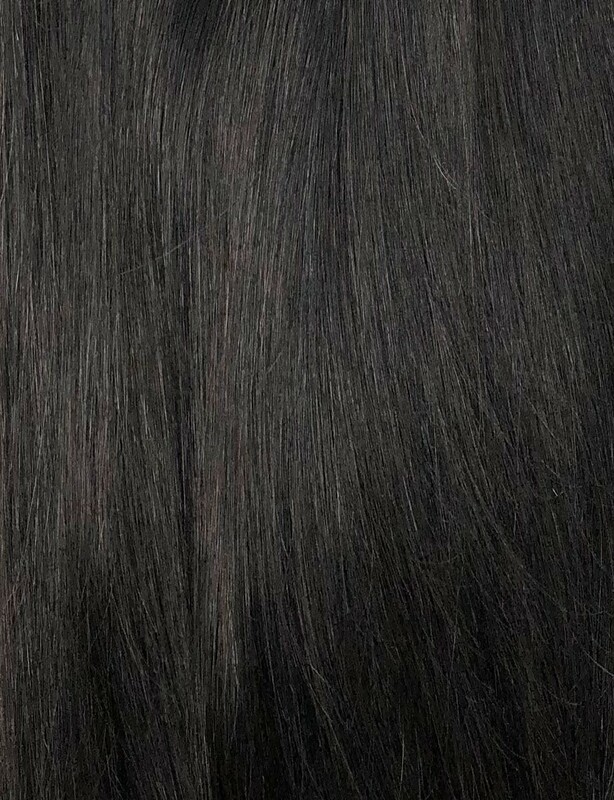 The pack is the thinnest option we have and it blends in perfectly with even the most delicate hair.